Greetings! 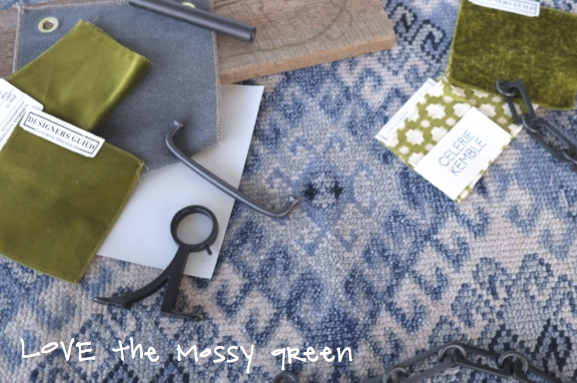 Sorry we have fallen off the face of the earth – we have been so busy with so many exciting projects! We hope to return to blogging regularly in the future, but in the interim please keep up with all of our projects, news, and findings through our instagram! 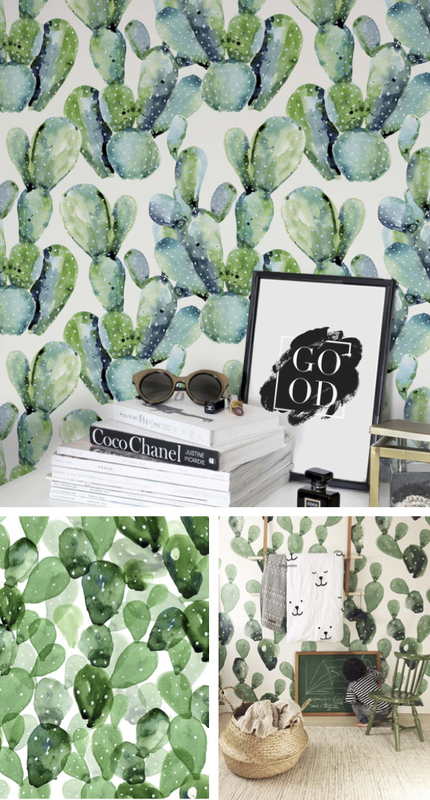 So I’ve been obsessed with a watercolor cactus wallpaper for months. Its been sitting on my console for months, I mean HELLO we’re in New England, I don’t see a client deciding to put cactus wallpaper on their wall. A girl can dream. I am seeing it everywhere though – it makes me so happy. Below is the paper I am crushing on. These are some of my other favorites, also in a watercolor type effect! 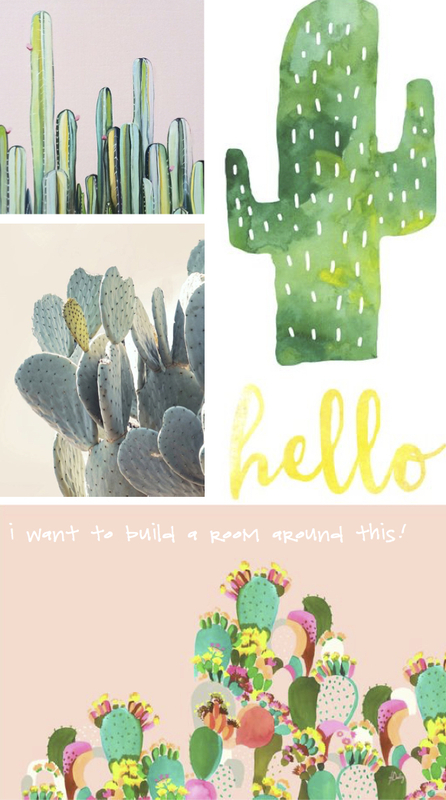 I’ve been thinking about sneaking cactus in in the form of art … that’s not a commitment, right? 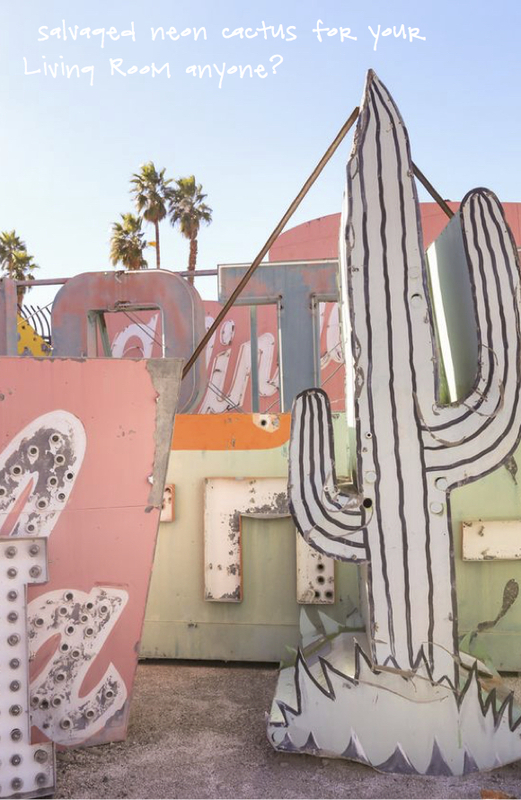 Or if your really crazy how about a massive salvaged cactus sign? That would be SO cool in the corner of a living room for a neat glow each night! I need it! Ok, maybe I’m getting a little out of control. 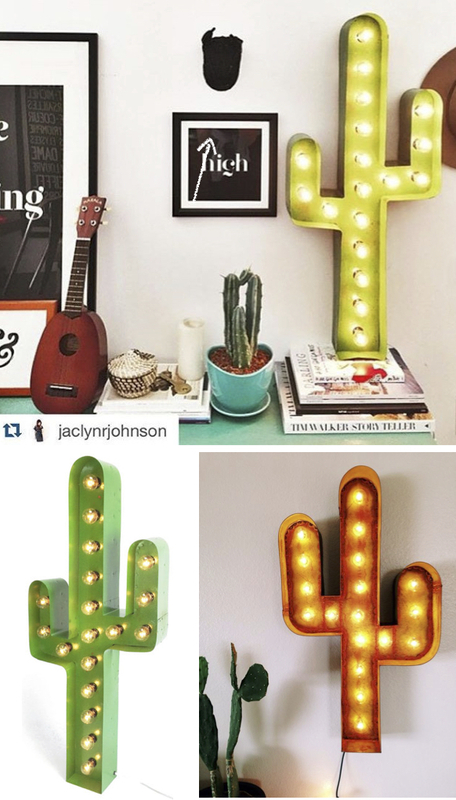 Lets dial it back – how about a small cactus sign. Not too much? 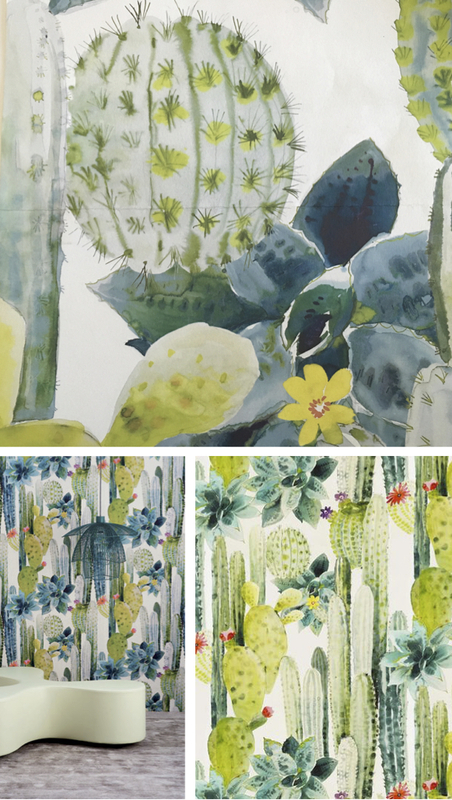 Sharing my cactus sources: 1st cactus wallpaper – Pierre Frey: Culiko, 2nd cactus wallpaper - Etsy: Watercolor Cactus Wallpaper, Cactus Art: ‘Cactus Fields’ original oil painting of cactus garden by Kate Jarman, “Hello” Cactus print: Sweet Rose Studio, Cactus print watercolor by Helen Dealtry, Cactus Lamps: Mojave Moon Design and Wayfair. We’re hiring again! On the lookout for a Design Assistant! 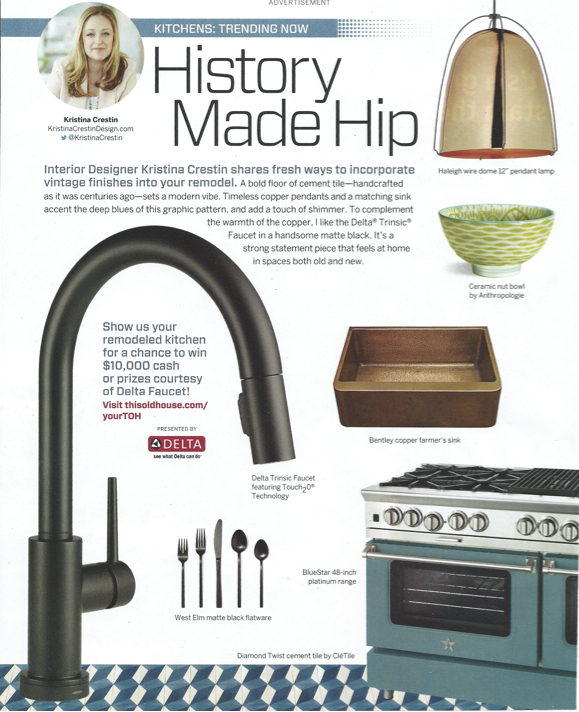 Kristina Crestin Design is looking for another Design Assistant! We’re looking for a talented driven individual to join our team as a Design Assistant. They will assist in every step of a project, from sourcing products and materials, working on construction documents, project installations, marking and more. General office duties supporting the design staff; Sourcing tile, lighting, furniture, fabrics and other items for projects; running errands & obtaining samples. Preparing materials and presentations for meetings; meeting follow up with design team executing action items. Order management; assist with the ordering of product. 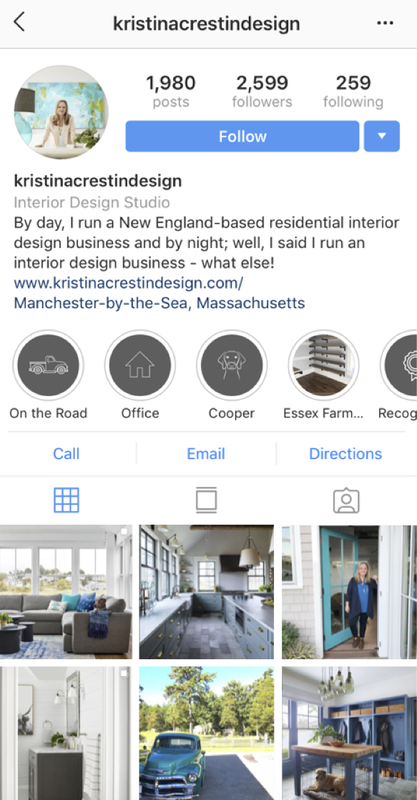 Marketing; When we don’t have an intern the design assistant would assist in updating our web site and Houzz as needed, assist in blog layout and uploading, provide some Instagram and Facebook support. Support with special events and photo shoots. We are a Mac based firm, so you will work on layouts in Pages and spread sheets for schedules in Numbers. The Design Assistant would be working directly with the Principal Designer on some projects and as part of a bigger team assisting the Junior Designer on larger projects. You should consider Apple’s Pages and Numbers like family, very close family! Strong communication skills, accountability and self motivation. A degree in interior design. A solid understanding of AutoCAD. 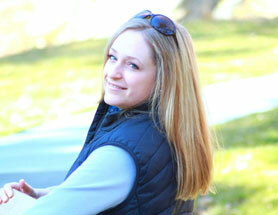 1-2 years of interior design experience in a residential design firm. Time requirement: This is a full time salaried position. Sound like a fit? We’d love to hear from you. 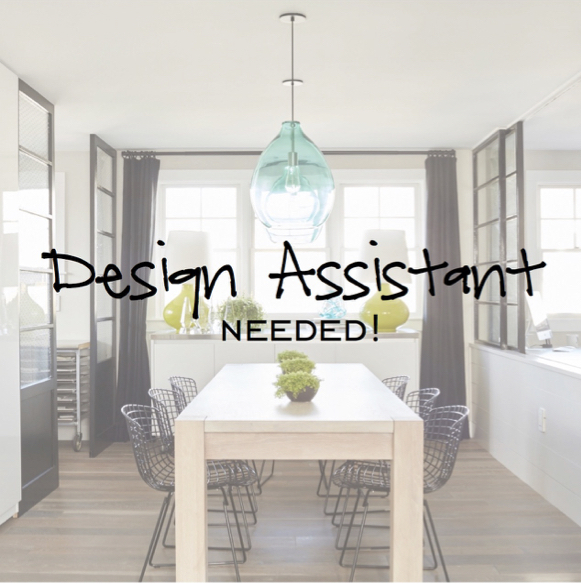 Apply by emailing kristina@kristinacrestindesign.com with the subject “Design Assistant Position” and your name in the subject. Please include your resume and samples of your work. 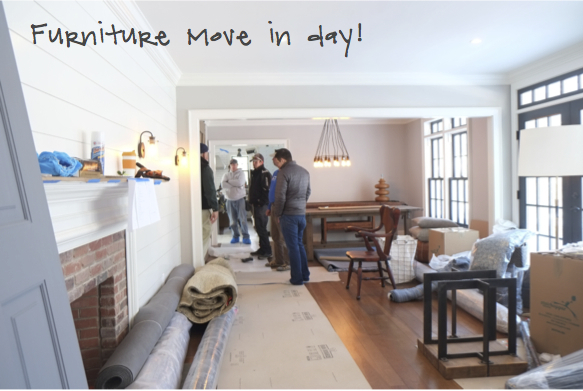 Now to share the site progress at the This Old House North Shore Farmhouse! As we made our color decisions and started ordering product the site was moving ahead at a super fast pace. Below is a visit where I was shocked, with the house being shop built the clip in which they worked was so speedy. Just the previous site visit only exterior walls were in! In very short order blueboard was up and trim was in. 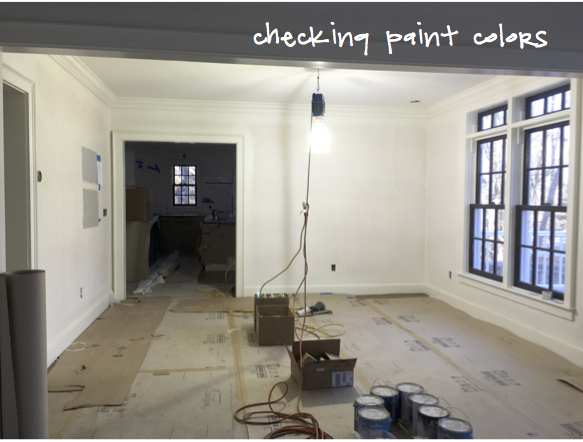 Here we were just getting to the point of selecting final paint colors. 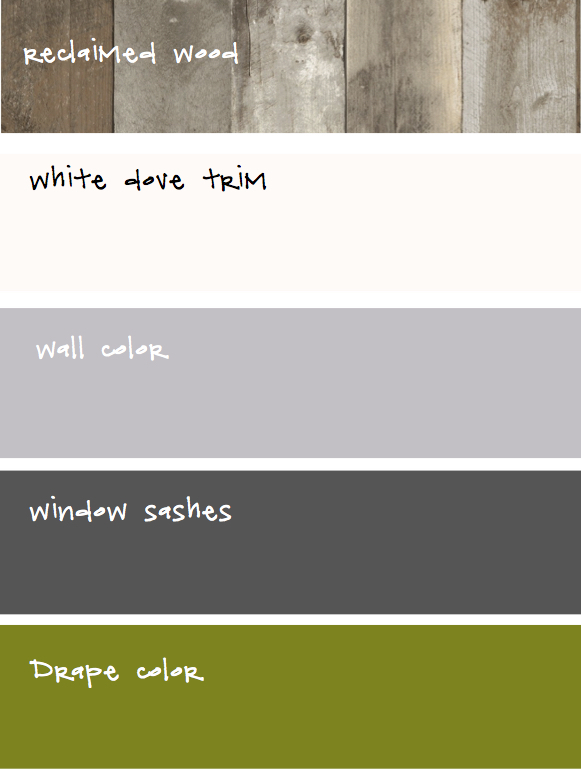 Erik got those paint swatches up on the wall so we could review them on site. Below we were filming one of the episodes about color selection. Check out our episode 24 for more behind the scenes. 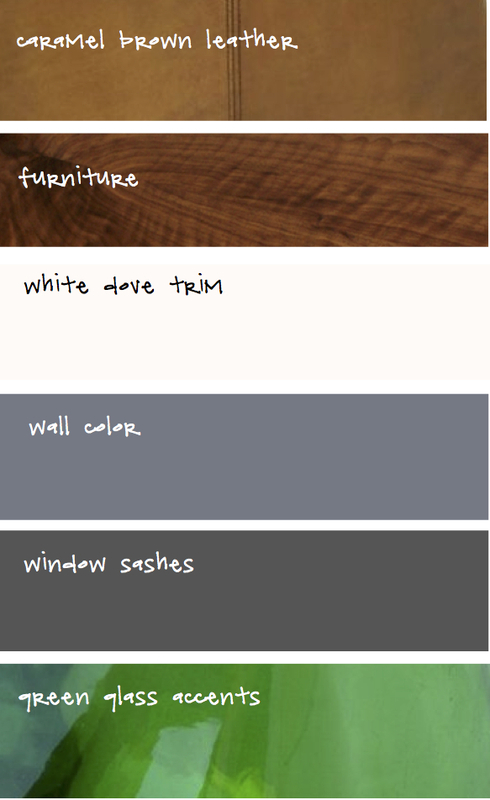 OK, paint colors selected. Check. Before I knew it trim was up and painted. Again, faster than I could imagine. I love this phase. You start to see the house coming together right before the mess and mayhem that is move in day. 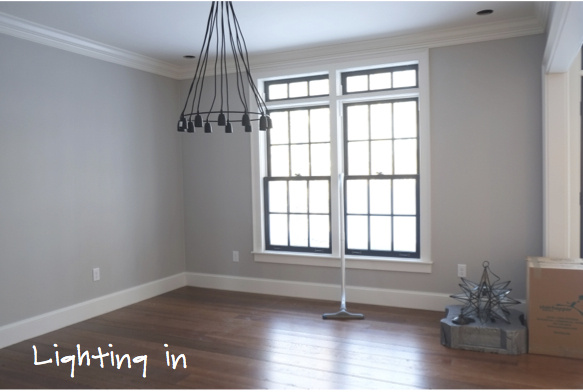 We’re almost there – drapes are in and we’re gearing up for filming of the final reveal episode – so fun! Lastly – ta-da! The final reveal! The room is together, our barn door is up and the home is finished. 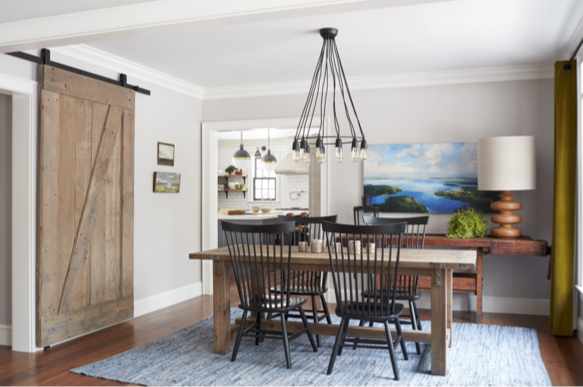 I love the barn door in the dining room, it adds some texture the room needs to warm it up and bring some more of the reclaimed feel into the space. Stay tuned for more behind the scenes on other rooms! Sourcing: Custom Barn Door by Old House Parts, Dining Table Restoration Hardware, Chandelier, Rug and Dining Console is vintage through Kristina Crestin Design, Table lamp from Lekker Home, Painting from Jules Place – “Coastal Cove” from artists Craig Mooney, Marlow II Black Wood Dining Chair – Crate and Barrel, Paintings next to the barn door art Robert Hanlon from Powers Gallery. Drapery fabricated by Willow Design with Designer’s Guild Fabric through Kristen Crestin Design. The house was designed and shop built by Connor Homes. Kaminski Construction Management made it all happen on site. 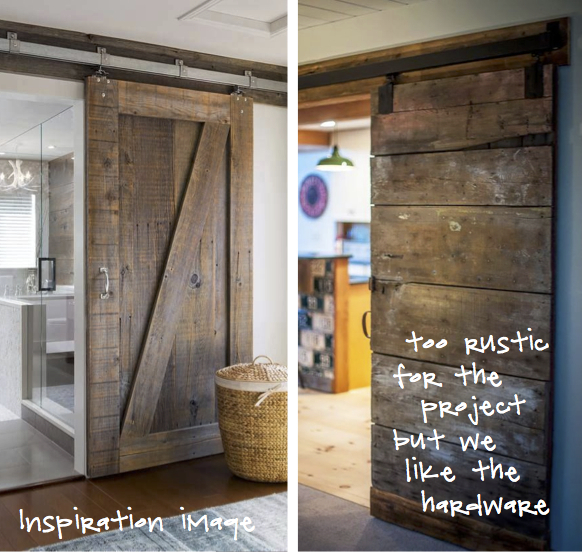 One of the things early on the clients expressed wanting was a barn door in the house. Which works perfectly as I’ve had a barn door ‘problem’ for years! We mentally worked our way through the house figuring out where we could have one and the Dining Room became an obvious place to put one. We had a larger opening to the front hall so in turn our barn door could be larger and really make an impact with texture. Some of our inspiration images are below. 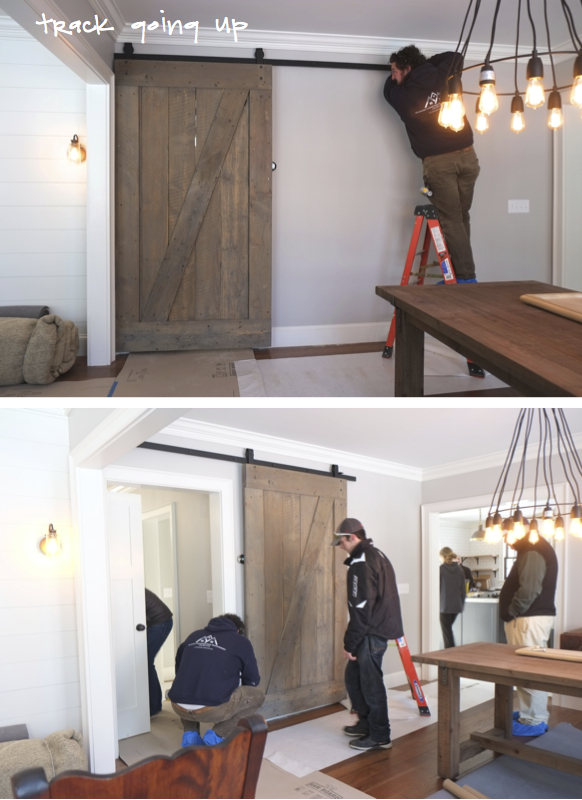 Where to get a barn door this big? My friends at Old House Parts in Kennebunk of course. I’ve done lots of salvaged doors with Tom so I thought he could hook us up. 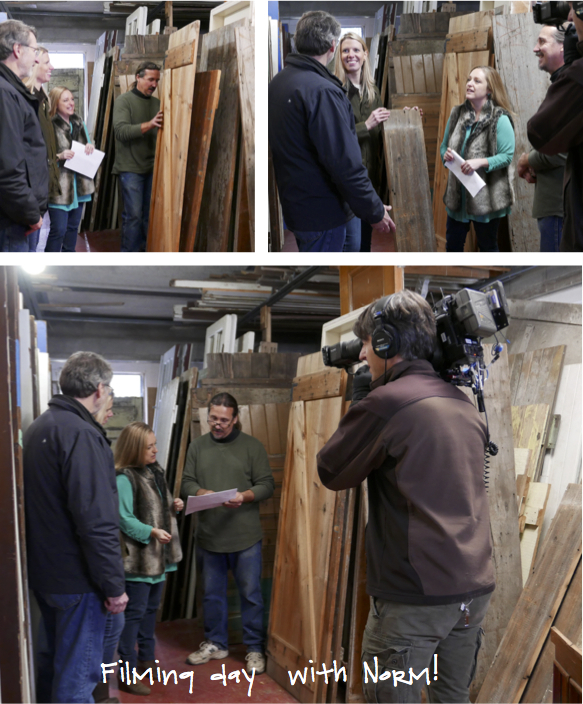 We took a trip up to Kennebunk, which you can watch on episode 21 of This Old House. Of course nothing is every easy – they didn’t have anything that fit our size and especially our taller height. Tom suggested he could make one for us and that would even allow us to really hone in on what textured wood we wanted! Great! We got to go through this process on camera, filming one of the episodes for the show. You can see me freezing below. What you don’t see is that between takes we had hand warmers to try and warm up our fingers. Oh the glamour of design and filming! Tom delivered our door to the site and in short order it was being installed. We used the same flat black hardware we used for my office barn door from Specialty Doors. So happy! Lookout for some follow up blog posts showing the final reveal! If your interested in a barn door reach out to Old House Parts. 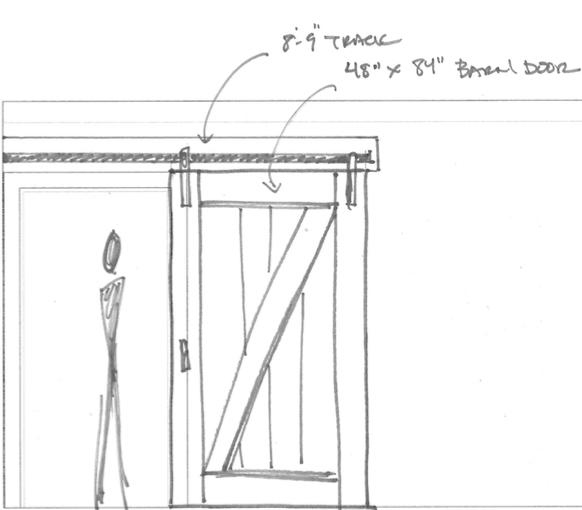 Barn door track hardware from Specialty Doors. 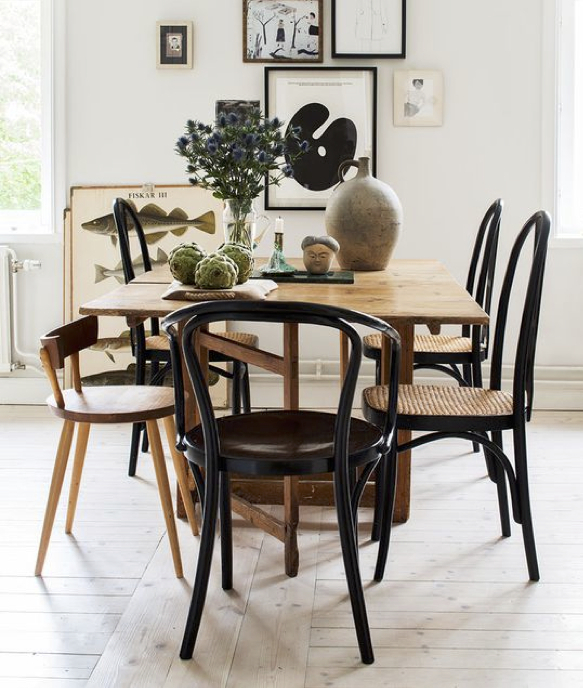 I find dining chairs are always one of the hardest items to source and settle on. So many options, such a variation in comfort and and even bigger variation in price! On this This Old House North Shore Farmhouse project we talked early on about farmhouse or industrial, about which direction was right for the house. 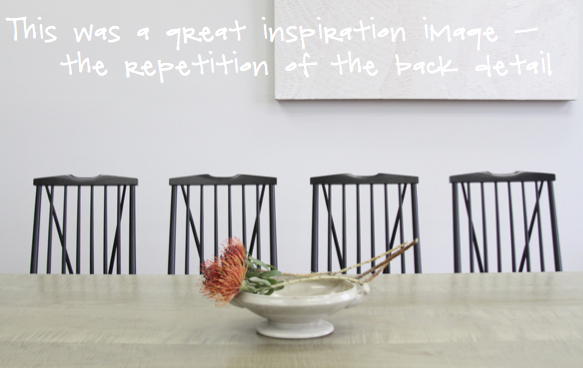 I love this inspiration image below of how graphic the backs of the black chairs are. We also were looking to see if we could find something that was vintage or antique, ideally sourcing locally. Since finding something vintage that works and has the quantity locally can be so hard without endless hours of design time scouring I thought about mixing it up. 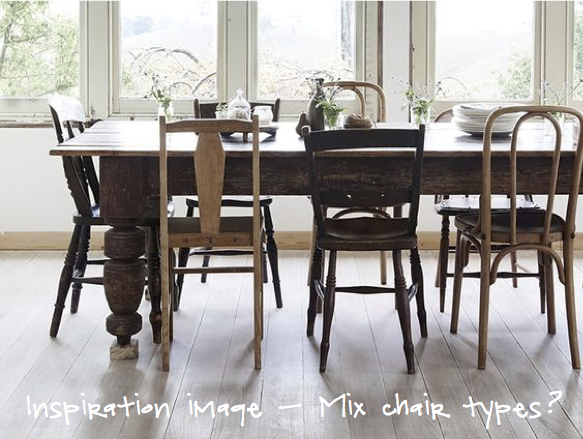 I love these images below that shows mixing and matching of dining chairs can work really well. Mixing is totally an option. The idea of the farmhouse chair started percolating as the right look for the space, really driving that farmhouse feel forward. I have an obsession with the ones below. 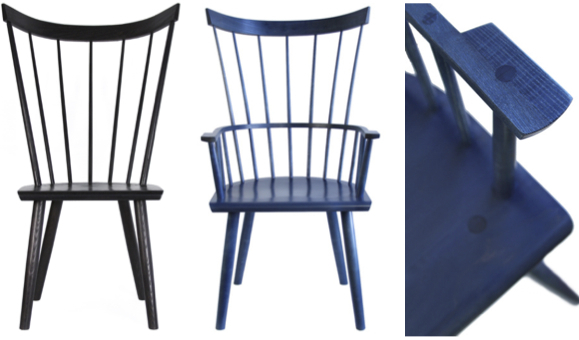 I love the graphic visual of the traditional Windsor chair! I found these guys on Chairish and they totally have that modern farmhouse look! Follow along to see where we ended up with our chair selection! Greetings all! 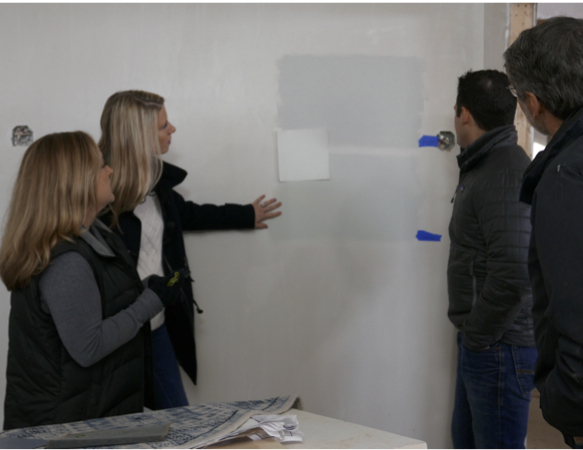 If you follow us on social media you might have heard that we were working on This Old House’s newest project this winter – their North Shore Farmhouse project. It was a whirlwind of quick progress and fun. 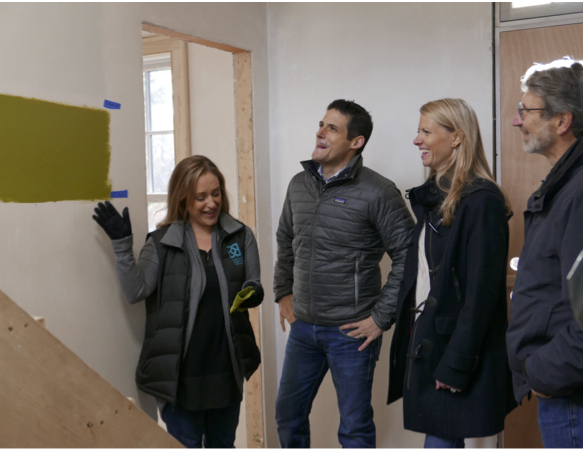 All 10 episodes have been on TV recently and now we’re sharing some behind the scenes of the interior design development! I’ll be sharing concept, ideas and progress photos over the next couple of weeks. 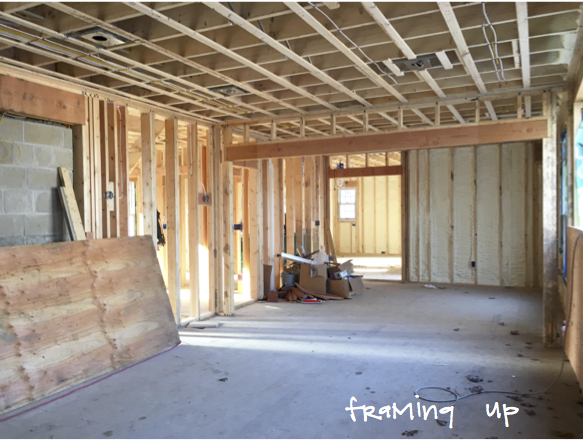 I’m breaking it out by space so you can really see how the design and the project evolved on site – and lets be honest, if we hit the framing progress point and all the photos were of the framed house you all would be bored! I got involved when the house’s deck was on and a few walls up. Definitely check out the first episode to get a total behind the scenes understanding of the house’s conception and backstory. Connor Homes basically custom builds the entire home in their shop and breaks it down sending components to the site. Seeing their process and how fast it makes the construction process is eye opening! Kaminski Construction Management had the task of making it all happen on site and they were already busy making it happen. 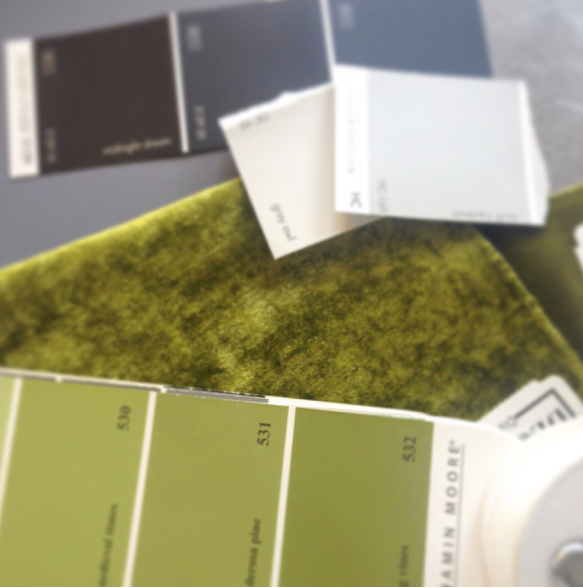 The clients and I started off immediately talking about color palette and vibe – focusing on the main Living / Dining space as a place the rest of the decorating could take cues from. 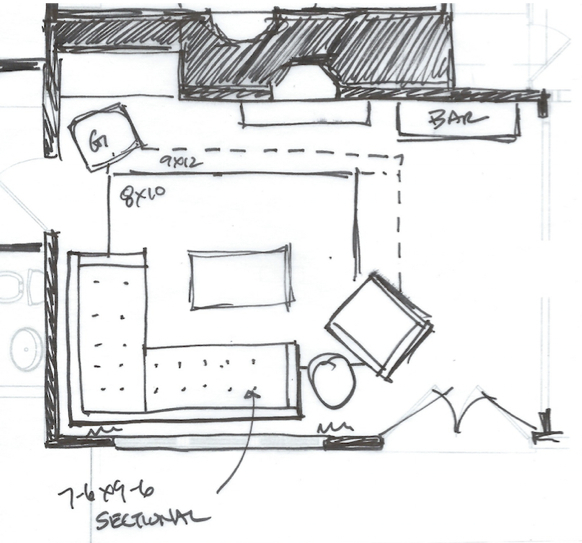 After working through the furniture plan and building a budget, I worked on some quick elevation studies of key areas. This helped us study scale and proportion and really get an idea of what size furnishings we wanted. 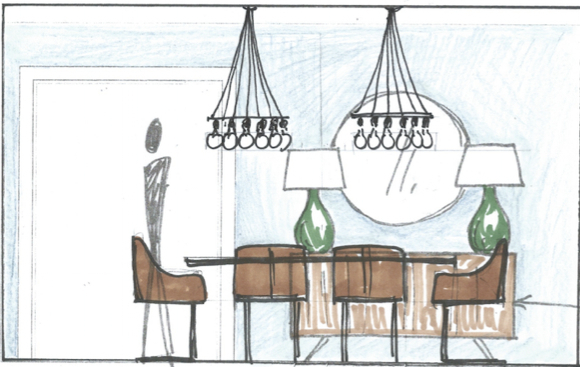 This is especially useful to study items that would impact the electrical plan – like one fixture or two over the dining table! Though the exterior was classic, the clients were looking for a modern farmhouse feel inside with some industrial elements. So we were working on balancing how we pair that farmhouse feel with the industrial elements while trying to keep it fresh. 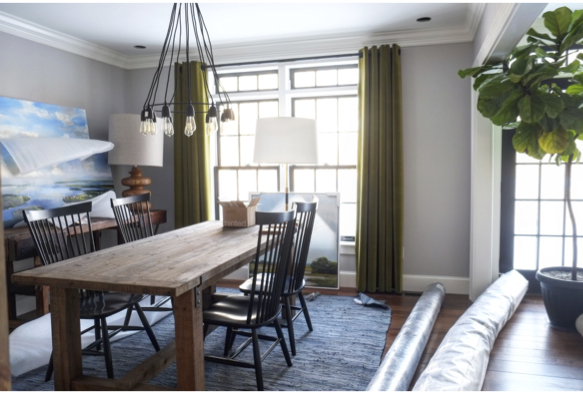 Blues and grey’s were our baseline palette for the entire house and here in the dining room was the first space I had the idea of a pop of color being green to bring some of natures vibrancy inside. Stay tuned for more progress and final photos to see where we ended up! 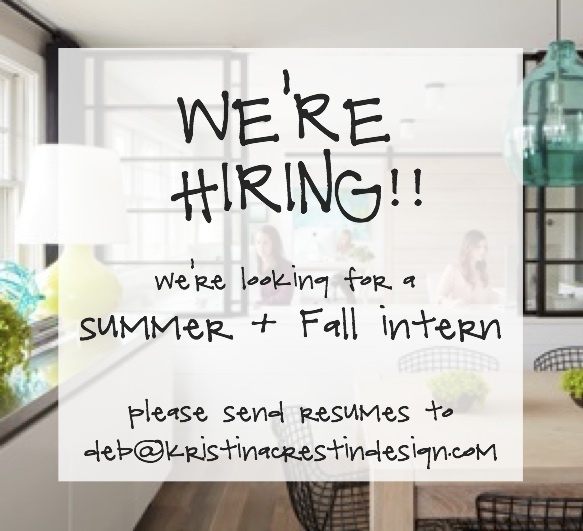 Kristina Crestin Design is looking for a Summer and Fall intern! We’re starting the search for a summer intern and while at it interviewing for fall internships too. 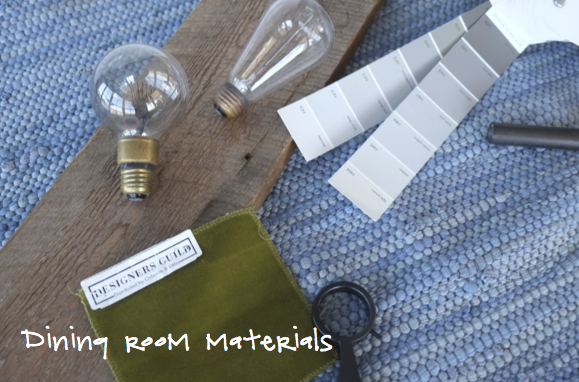 They will assist in every step of a project, from sourcing products and materials, project installations, keeping our library updated and full of good things, marketing and more. General office duties supporting the design staff;searching for things like lighting, furniture, fabrics and other items for projects; running errands & obtaining samples. Preparing materials and presentations for meetings; meeting follow up with design team and executing action items. Marketing; They would assist in updating our web site and Houzz as needed, assist in blog layout and uploading as well as provide some Instagram and Facebook support. Time requirement: This position is Monday – Thursday 8 hours a day. This internship is unpaid with a stipend at the end of the internship. Sound like a fit? We’d love to hear from you. Apply by emailing deb@kristinacrestindesign.com with the subject “Design Assistant Position SUMMER/FALL” and your name in the subject. Please include your resume and samples of hand sketching, CAD work and rendering – we don’t require a full portfolio sent at this time.